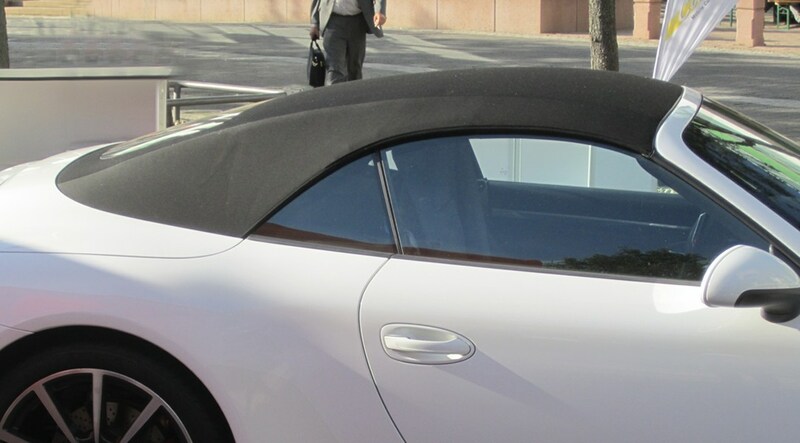 A fabric cabriolet roof must be kept clean and impregnated for it to retain its water-repellent properties. Impregnation of the soft top cabriolets should therefore be done regularly to maintain the water and dirt repellent surface. The impregnation protects against salt, traffic film and other debris. As time goes on, the sun will bleach the colored soft top roof. The soft top can then be dyed to restore it to its original color and luster. We can dye soft tops in black, blue and brown.